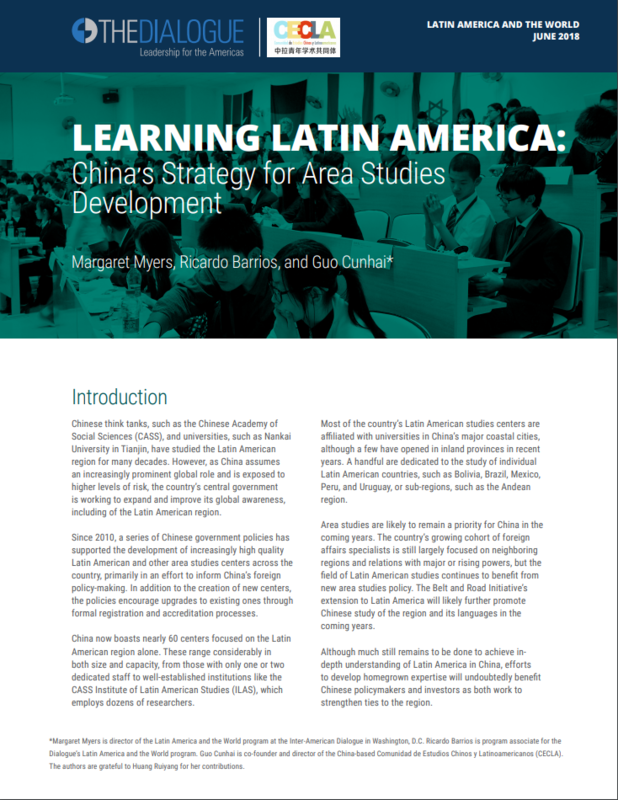 July coverage focused on President Xi Jinping’s tour of Latin America, which included stops in Brazil, Argentina, Venezuela, and Cuba. China’s state press agency, Xinhua, reported favorable receptions of President Xi’s tour among Latin American countries (推动中拉关系更上层楼 ——拉美各界热切期盼习近平主席访问), while Huanqiu predicted that Xi’s charisma would strengthen Sino-Latin American relations (习近平访拉美四国：向世界展示大国外交的风采). Xinhua also explained that China-Latin American ties have deepened considerably in recent years (综述：中拉关系实现跨越式发展). Experts told the news agency that complementarities in consumer markets and natural resources are likely to propel further cooperation between China and the region (专家：各领域合作迅速扩大促进中拉关系愈加紧密). Headlines also highlighted the BRICS summit in Brazil, where Xi joined counterparts from Russia, India, Brazil and South Africa to establish the New Development Bank. China Radio International speculated that the new institution could compete with Western-led multilaterals such as the World Bank and International Monetary Fund (金砖国家机制在讥讽和怀疑声中稳步成长). A leader among the BRICS nations, China could reshape global governance by bringing more developing economies into the fold, reported pro-government Huanqiu (中国“金砖角色”受瞩目：取代美成国际机构中心). Xinhua emphasized the new opportunities that the bank presents for South-South cooperation between China and Latin America (中拉关系与金砖国家合作机制：兄弟之道是团结同心). Chinese media observed that Xi’s visit comes at a time when other countries are stepping up their diplomatic efforts in Latin America. July reports noted Putin’s visit to Argentina, where he finalized an agreement for nuclear energy cooperation between the two countries (普京“闪电式”访问阿根廷 两国签署核能开发协议). Huanqiu and Hong Kong-based Wen Wei Po suggested that growing Chinese involvement in the region could be interpreted as interference in the United States’ “backyard” – though both go on to argue that economic diversification in the Western Hemisphere benefits the United States as well as Latin American countries. (專家解讀：中拉強化合作 「抄美國後院; 金砖峰会反映全新国际政治架构 地位或将超过G7). In an article appearing in China News (中国新闻网), Japanese President Shinzo Abe’s visit to Latin America was depicted as an attempt to counterbalance Chinese influence in the region (安倍出访拉美继续‘俯瞰地球仪’和中国较劲).